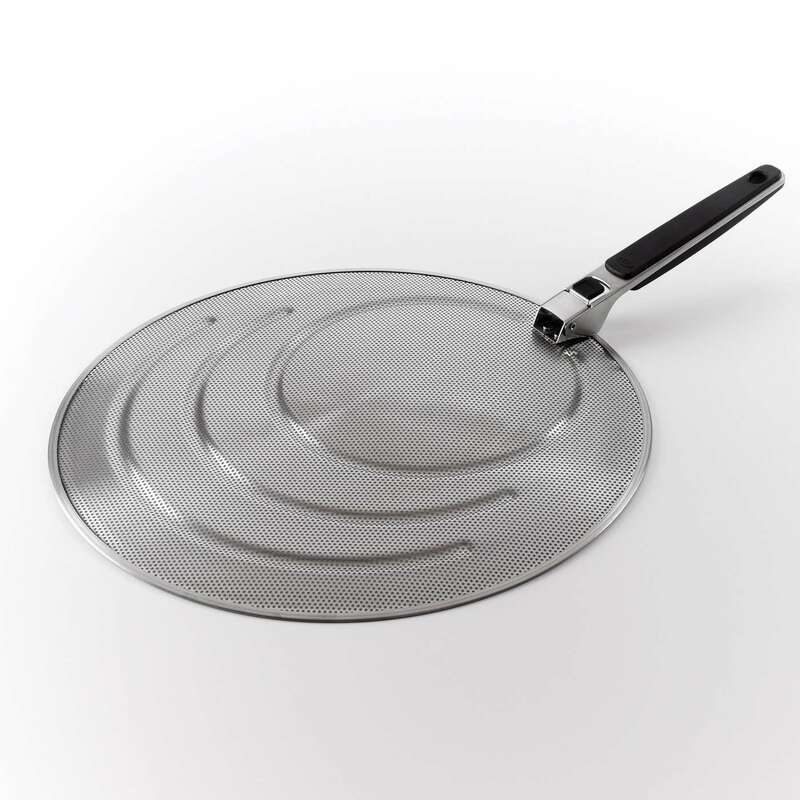 Made of perforated stainless steel, our Splatter Screen keeps grease off of countertops, stoves and, most importantly, cooks. 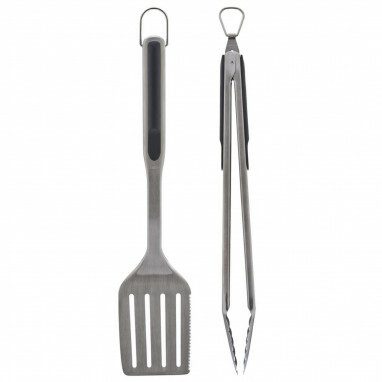 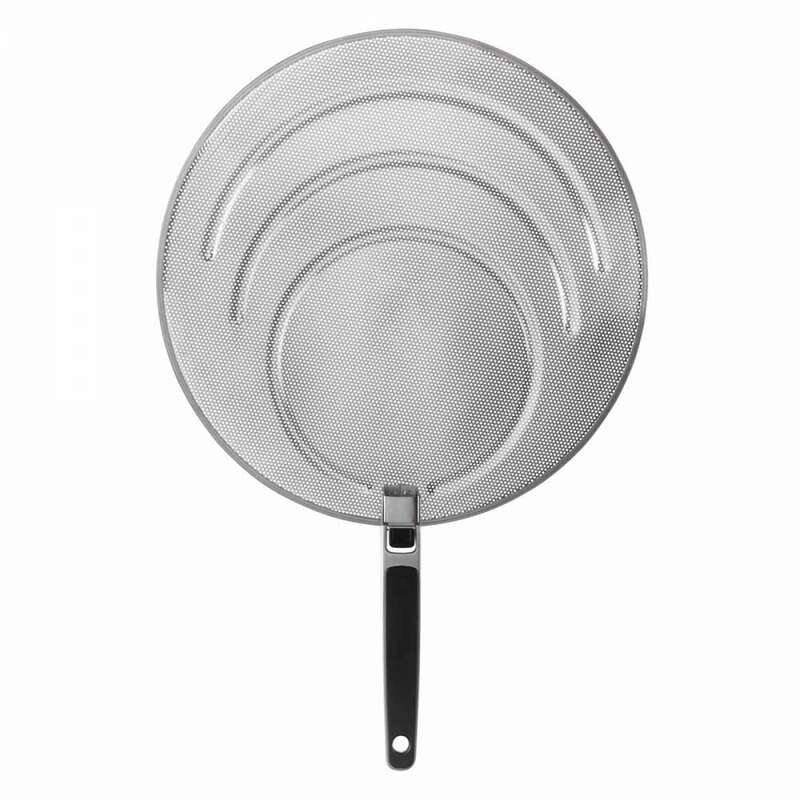 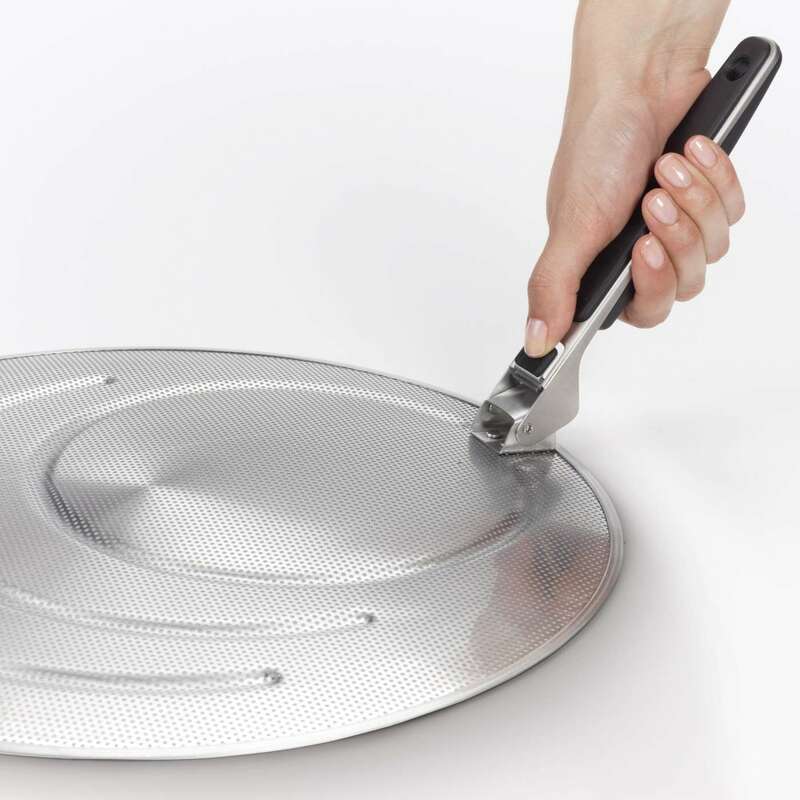 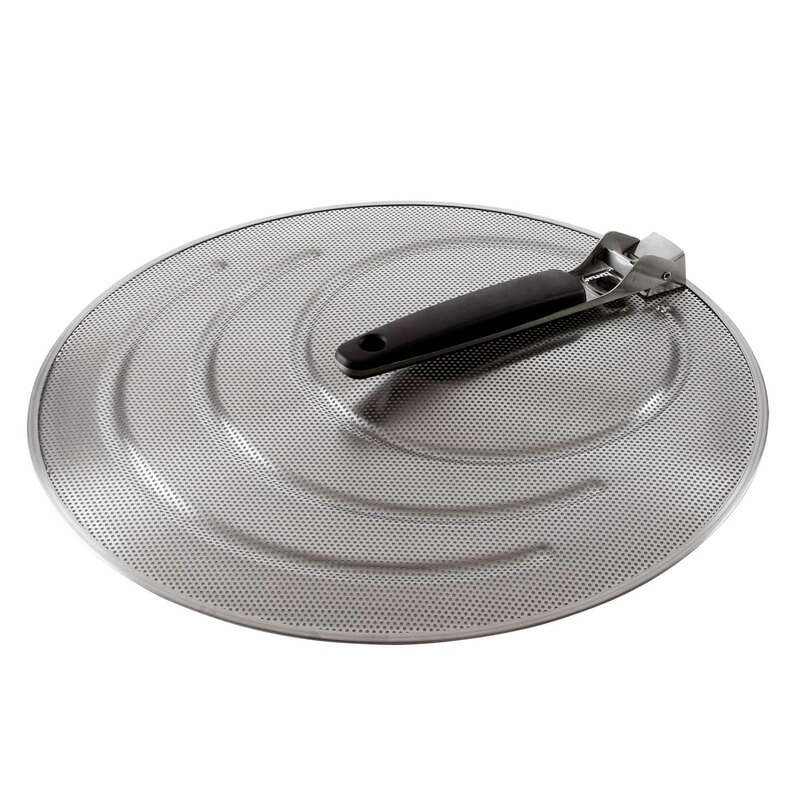 Fits pans up to 13 inches wide, with grooved rings to rest on different sized pans. 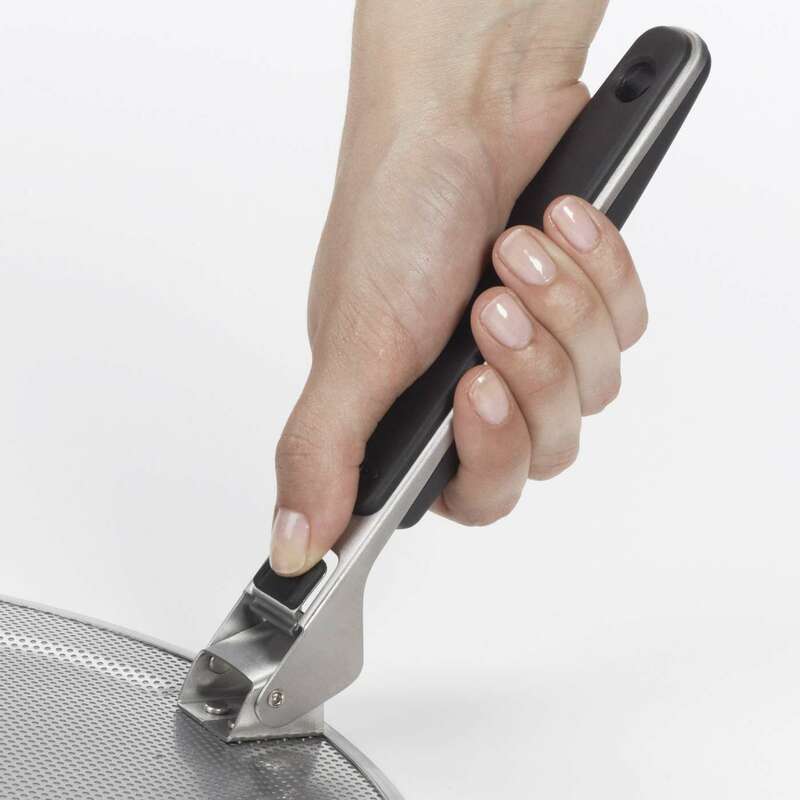 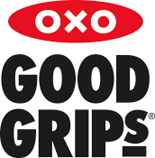 The soft handle locks in the open position and folds down for compact storage.